Eclipse models suggest that the sun's photosphere is slightly larger than the value commonly used. Eclipse measurements could help determine for sure. 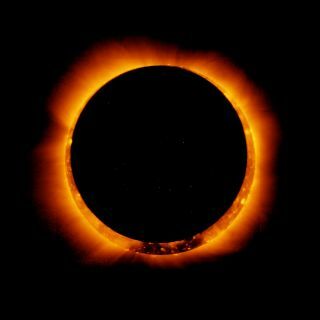 Here, an annular eclipse is visible. This article was updated to clarify the resolution of Solar Dynamics Observatory images.